To provide high quality care that enhances the development, care and education of pre-school children in a safe and stimulating environment, where they learn through a variety of rewarding and carefully planned experiences, planned in accordance with the Foundation Phase in partnership with parents/carers. Welcome parents / carers who want to become directly involved in the activities of the provision and provide opportunities to do so, taking into consideration the linguistic and cultural nature of Ysgol Glan Conwy and the surrounding area. 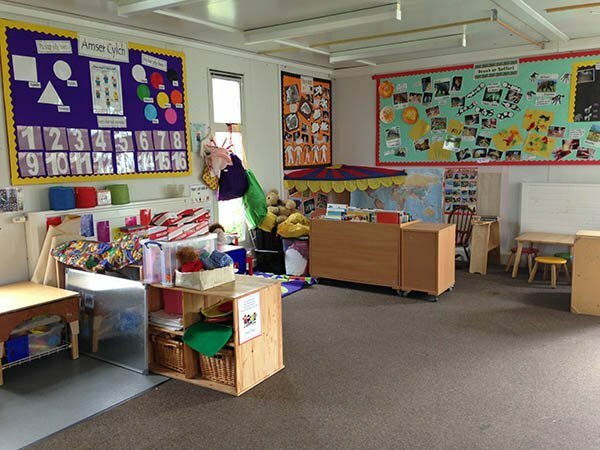 Ysgol Feithrin is open Monday-Friday 11.30 a.m. – 2.45 p.m. during term time and admits children from the age of 2 years. We also pick up from the Nursery Class at Ysgol Glan Conwy as we are situated on the school site.